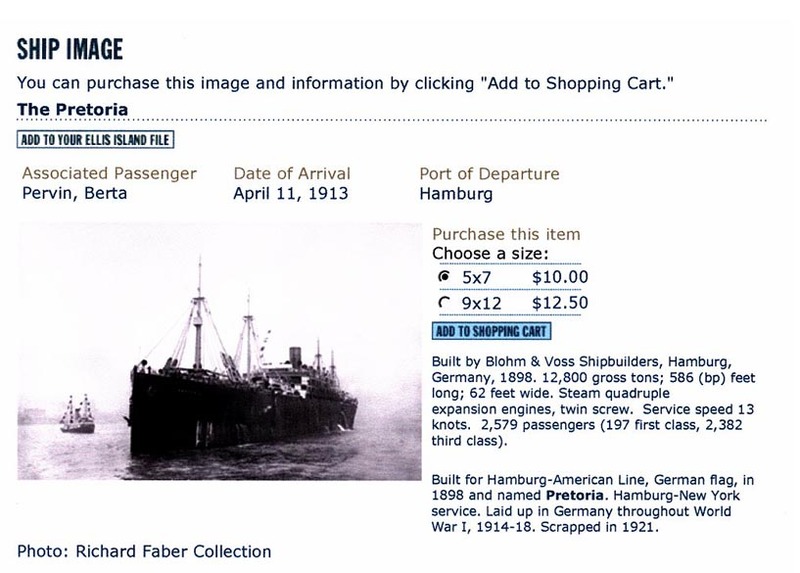 Berth Pervin, one of the daughters to Samuil Yakovlevitch and Feiga Laila Abramovna arrived at the Ellis Island on April 11, 1913, by the SS. Pretoria. She was listed as 18 years old dress maker and came from Winnitza (Vennytia), Ukraine. Her final destination was listed as 72 Brown Street, Pittsburgh, PA., and Morris Kuper as her brother in law.